The University of Nottingham has many characteristics that may be linked to other leading universities of the world. They are different from other universities in terms of their strengths and are financially very secure as well. Nottingham University is campus based and is highly comprehensive; they led researching and recruit only top students and staff from all over the world. They are committed towards internationalizing their entire core activities so they can give valuable and memorable studying experience to their students. Following is the process to Apply In University of Nottingham and Study in UK. 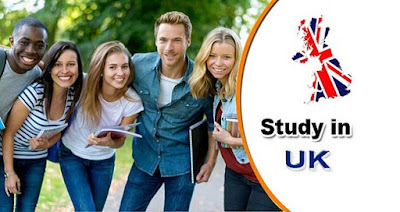 Unlike all the other postgraduate admission application process in United Kingdom, University of Nottingham gives postgraduate course admissions that are not centralized for all universities present in this country. With such rules, the only purpose of University of Nottingham is to make the application process simple and efficient. Having this fact in mind, University of Nottingham has their online application forms that are easy to fill and download from the official websites. For those who do not want to fill online application an also call the university number to get a paper form delivered to them. In the application form, two categories of postgraduate study are given i.e. taught programs and research opportunities. The entry requirements for both these categories depend upon the applied courses. Entry requirements in the university are completely dependent upon the applied courses. For taught courses, the applicant must have an honors degree at 2:2 levels or more than that. The candidate may also have an international equivalent of these requirements in relevant subjects. For research program admission, the candidates are supposed to have an honors degree at 2:1 level or an international equivalent in linked subjects. Moreover, for MPhil and other research programs like MRes, MA and MSC, the applicant should have an honor degree at 2:2 levels. A research proposal will be asked from the candidate as well along with their application form. University of Nottingham demands skillful students and therefore, specific English language requirements are also mandatory for each course specifically. If the first language of the candidate is not English then he/she should take an approved English test before applying for any course in University of Nottingham. If the required level is not achieved, then University of Nottingham has center for English language education which will help the student prepare for their courses throughout the year. If the candidate doesn’t want to fill these online application forms, then they can fill out the equal opportunity form and reference form available on website in pdf form. After the form has been filled out and demanded documents have been attached, it can be returned or mailed to the admission office of University of Nottingham where it will be further processed and you will be called for the entry test or interview. All candidates must submit the application form before closing date to secure your entry in the desired courses.